Based on significant evaluation and discussion, the American Society for Enology and Viticulture’s (ASEV) Board of Directors has elected to discontinue the trade show portion of their popular June Annual Meeting, effective 2009. 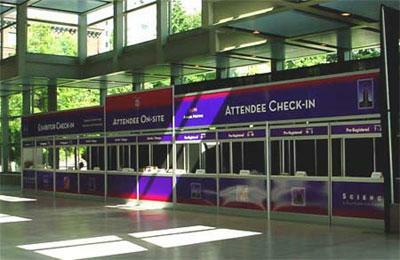 There are no plans for trade shows following the 2008 meeting in Portland, Oregon. “This action offers us added flexibility and positions us to be more responsive to the needs of our members, exhibitors and the evolving directions of the wine industry,” said Board President Pat Howe. Pierce’s Disease and Brettanomyces Articles Receive ASEV Best Paper Award. “Pierce’s Disease Symptoms: Comparison with Symptoms of Water Deficit and the Impact of Water Deficits” has been awarded the best viticulture paper published in AJEV in 2006. Authors Eleanor Thorne, Joshua Stevenson, Thomas Rost, John Labavitch, and Mark Matthews conducted the research at the University of California, Davis. For his contributions to the understanding of wine distillation, wine processing, wine chemistry and microbiology, Dr. Roger Boulton has been selected by the University California, Davis, Department of Viticulture and Enology to present the James F. Guymon Lecture. Boulton will speak about distilled spirits at the Annual Meeting of the American Society for Enology and Viticulture (ASEV) in Reno, Nevada, on June 20. This June, guests at the American Society for Enology and Viticulture’s (ASEV) 58th Annual Meeting will receive a rare insight into the science of mapping the grape genome when internationally esteemed Dr. Riccardo Velasco of Italy presents the Society’s Honorary Research Lecture. The science team’s leader in the European collaborative research breakthrough on grape genome sequencing, Velasco will speak at the Reno meeting on June 21. Renowned viticulturalist Dr. G. Stanley Howell will receive the American Society for Enology and Viticulture’s most prestigious award, the Merit Award, on June 20 at the Annual Meeting in Reno, Nevada. This seminar is full and registration is closed. On-site registration will not be offered in Sacramento. This was necessary based on the tasting protocol and due to a very successful enrollment. We look forward to seeing everyone who has registered on Friday! We are pleased to offer the Call for Abstracts for the 58th Annual Meeting in Reno, Nevada. We encourage you to submit an abstract for consideration. The annual meeting provides a forum for the presentation of research in the fields of enology and viticulture or related sciences. An abstract can be submitted independent of publication of a paper and we welcome abstracts for both ongoing and completed research projects. The American Society for Enology and Viticulture will present “Defining and Managing Ripeness from Vine to Wine” on Friday, Jan. 26, 2007, from 9 a.m. to 4 p.m. at the Sheraton Grand Hotel in Sacramento. The ASEV Board and staff extend many thanks to Donna Hirschfelt for her service to the Society and advise you that Donna resigned as First Vice President on November 2, 2006. The American Society for Enology and Viticulture annually awards numerous scholarships to students pursuing a degree in enology, viticulture, or in a curriculum emphasizing a science basic to the wine and grape industry. We are pleased to recognize these outstanding graduate and undergraduate students who were granted awards for the 2006-2007 academic year. Click more to see a list of the scholarship recipients. Based on a three-year plan developed by the ASEV Board of Directors, significant enhancements to the 2006-2008 Annual Meetings are being planned to better serve the professional needs of our diverse membership. This strategy will result in an increasingly changed program matrix for future ASEV annual meetings with varied technical levels from scientific research to fundamental practice. Click here for June 2006 conference information. An overview of the current research direction in grape and wine phenolics will be on display at the ASEV’s 57th Annual Meeting on Wednesday, June 28th in Sacramento with distinguished speakers filling the program. Honorary Research Lecturer Award Recipient Douglas O. Adams from the University of California, Davis, will open the session with his address on practical phenolics in analysis and extraction to complement reports of other informative studies related to phenolics and tannins. Decanter Magazine named her one of 10 outstanding women in the California wine industry, but her achievements stretch around the globe. Ann C. Noble, creator of the Wine Aroma Wheel, will receive the prestigious Merit Award at the American Society for Enology and Viticulture’s 57th Annual Meeting on June 29th for her significant accomplishments in the wine industry. With a goal of enhancing the value and relevancy of the ASEV programs for members and the industry, the ASEV Board of Directors has developed a three-year strategic plan to augment the content of its annual meetings. In 2006, when the 57th Annual Meeting moves to Sacramento, several new enhancements will be in place to help realize that goal. The ASEV Annual Meeting held at the Washington State Convention & Trade Center in Seattle was attended by over 2,000 people who represented many states, countries and professional capacities. There was great benefit from the support and hospitality offered by the local wine industry and the Washington Wine Commission. Read a complete conference overview on the 2005 Annual Meeting Web site.Whether you are a member or supplier partner, you can’t afford to miss the education and networking opportunities being planned for the week of June 26, 2006. ASEV members now have access to the Journal online. All members have been sent a customer number so they may sign in. Click here for AJEV online. The AJEV has announced the recipients of the Best Paper Award for 2005. The authors will receive the awards at the 2005 ASEV Annual Meeting in Seattle, Washington. Click here to go to the Best Paper Award page and download the complete paper.